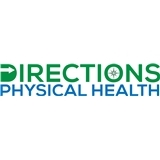 Directions Physical Therapy & Acupuncture (New York) - Book Appointment Online! Keiko learned how powerful Western medicine could be when she was conventionally treated for severe asthma as a child. She also learned of Western medicines limitations when she later developed dermatitis. Having found no relief through conventional means, Keiko turned to methods of alternative medicine. She sought Chinese herbal medicine, acupuncture, chi treatment and dietary supplements and was able to successfully resolve the dermatitis. Keiko takes a similarly integrative approach with each of her patients. A hands on approach. No method is one size fits all. Keiko will work WITH you to devise the approach that will get you back to a state of wellness. Very clear caring individual. Knows her stuff! Rob is great. Very comitted and attentive. Extremly effective, has a vast knowledge of eastern and western medicine. Dr. Keiko is a great professional, my back has never been so flexible and pain-free!